Do you use a pot call? 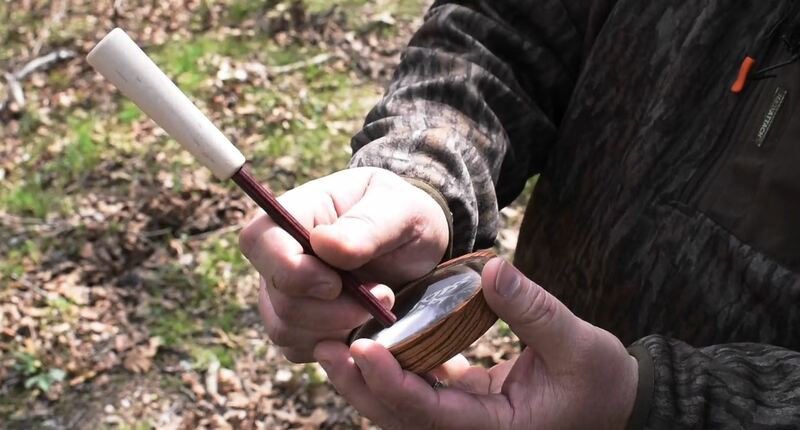 As we gear up for spring turkey hunting, the GrowingDeer Team will have calls in hand (and mouth) to fine tune calling skills. Grip: Grip is everything. Grip the pot with your fingertips. Do not let it set flush with the palm. That deadens the sound. Keep your fingers extended with open space under the call. This creates a sound chamber and helps the call carry and sound real. Striker position: Rest your hand on the side of the pot. Hold the striker about an inch up from the tip of the peg. Tilt the striker peg slightly so that it will bite the surface of the call. Where you hold the peg determines the sound produced. Play with where you grip/hold the striker. Gripping the striker peg further down will give you a different pitch. Experiment to find the “sweet spot”, which makes the most realistic sound. Cluck: A simple, short, quick, straight rub of the striker against the surface. A slight snap often helps. Yelp: A Yelp is going to be your basic call. The yelp is a two note sound. You’ve got a high note at the top, a low note coming down. Move the striker in a curving motion (think oval shape, fish hook, or J shape) to get high and low notes. Then develop a rhythm as you put them together. Purr: Lightly drag the striker across the surface, allowing it to skip slightly. It’s a softer call so keep it light and slow. Thanks to Steve for these simple tips! Stay tuned! 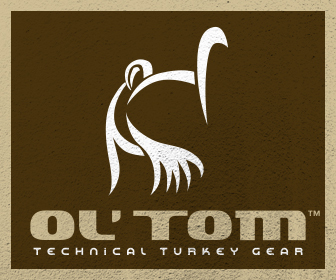 We’ll be sharing more expert tips to improve your turkey calling over the next few weeks as we gear up for turkey season! We get so excited when we find a shed antler here at The Proving Grounds. It’s fun to share the excitement of finding antlers on Facebook and in our weekly episodes. You may be wondering what the secret is to finding all those antlers. 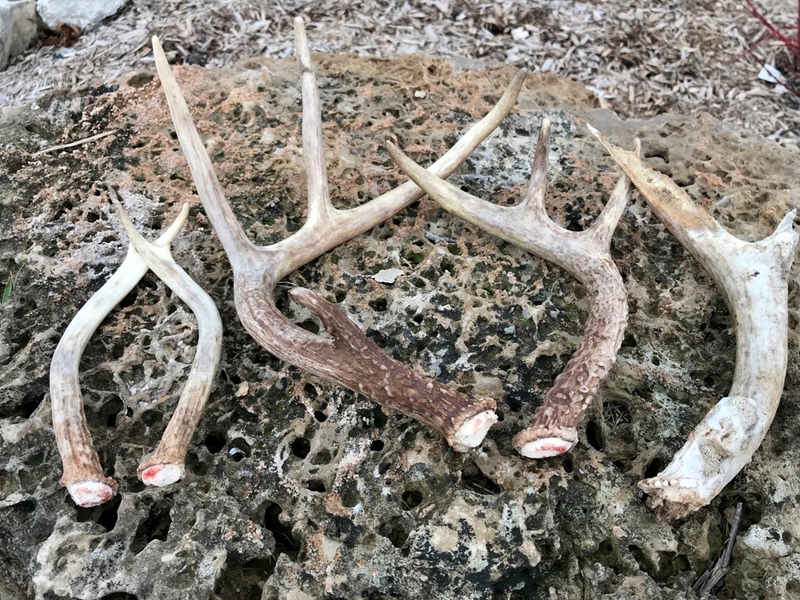 The secret to finding shed antlers is one word: persistence! 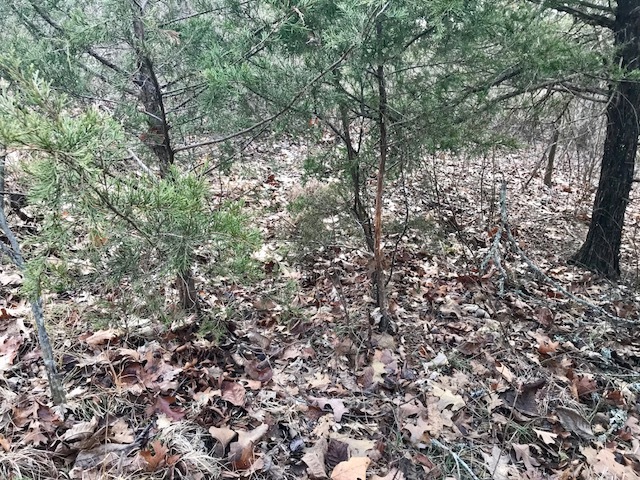 When I start to get discouraged I remind myself that it is impossible to find antlers if I am at the office sitting at my desk (or at home cleaning, cooking, watching TV) and not getting out into the woods. At least by getting out for an hour here and there, the odds increase in favor of finding an antler. 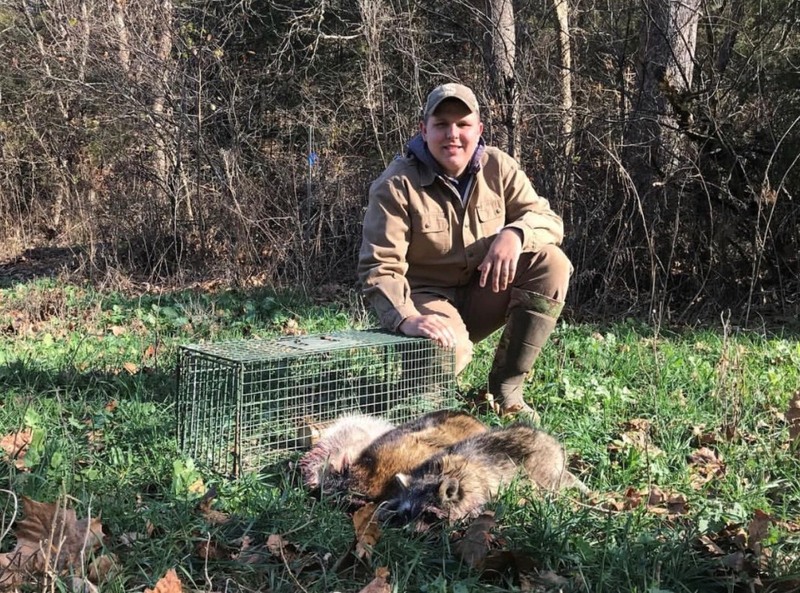 Staying motivated while shed hunting is a mental game. 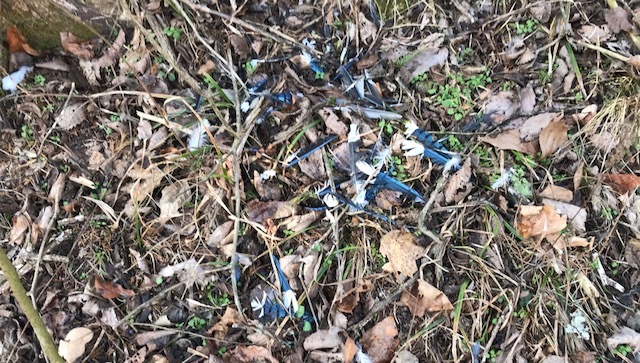 You have to congratulate yourself when you “spy” the unusual in the woods or the food plot: the turkey feather, the blue jay feathers, squirrel skull, etc. Congratulate yourself because your eyes are still working and seeking out the “difference” in the landscape. Did you notice this is a feather and not a stick? Congratulate yourself when you spy the unusual in the landscape. The old bones, weird rocks, or antler shaped sticks are the kind of things I call “shed hunting fools”. 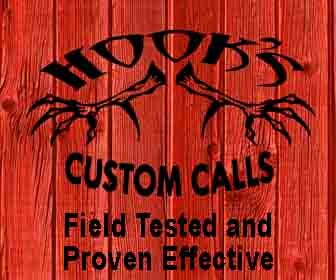 Limbs and sticks in the shape of an antler or an antler tine can fool shed hunters. From a distance there’s just enough similarity to an antler to make you quicken your step to get a few feet closer to see if it’s really an antler or….not. I turn that disappointment around to serve as motivation to keep going and searching for the real deal. This week I was ending a shed hunt without any antlers in my backpack. It was time to leave the woods so that I had time to get ready for Wednesday night Bible study. Just before I turned to head to the truck, I caught a glimpse of white on the slope just above me. 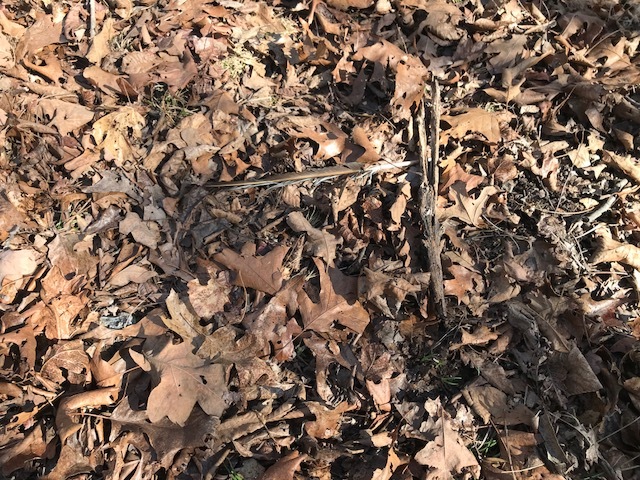 I found not one, but two nice antlers within 4 feet of each other. Now that was a great way to end a hike! The reward for being persistent and staying motivated was at the end of the trail. A reward at the end of the trail: 2 antlers! Test yourself. 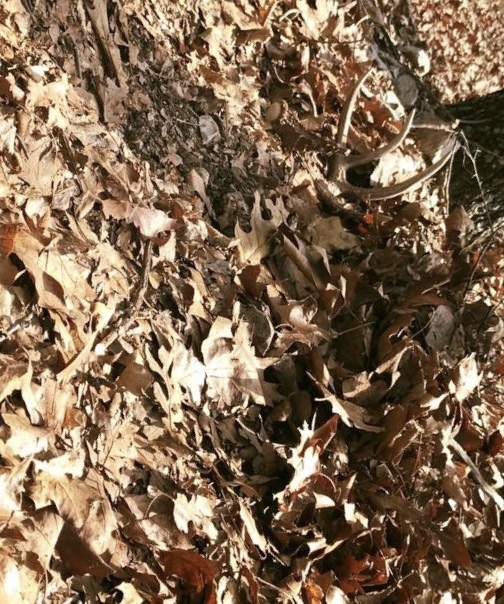 Can you spy them? 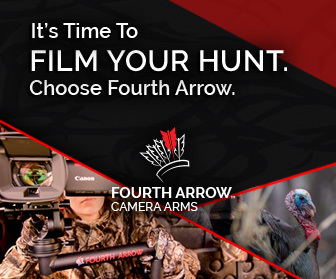 Next time you’re shed hunting. Don’t give up. Stay motivated and get back out there! 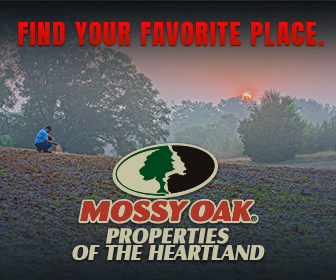 The GrowingDeer Team is excited to search The Proving Grounds for shed antlers! 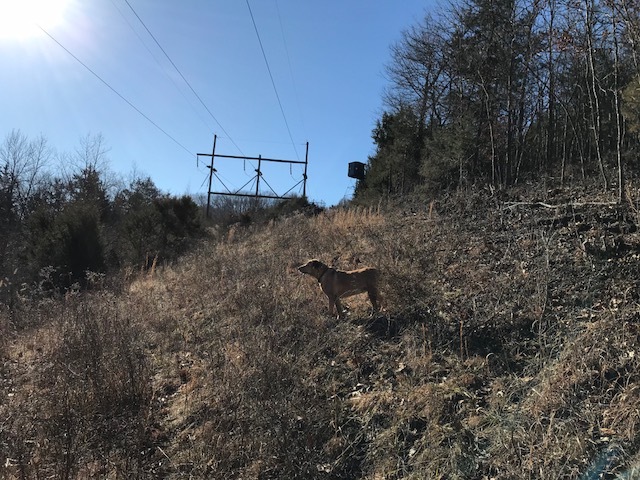 There are multiple benefits to shed hunting: the enjoyable walk in Creation along with the challenge of finding that prized antler (no matter the size). This passion for shed antlers isn’t limited to long walks across fields and woods. We are all actively looking for antlers anytime we are out on the land. Whether it is scanning a food plot as we drive by, checking out rub lines and scrapes as we check trail cameras, or blowing fire lines. While we are busy looking for antlers, we are also scouting and thinking about next season. Here are a few things to keep in mind while shed hunting. Most hunting seasons are closed when prime shedding occurs. 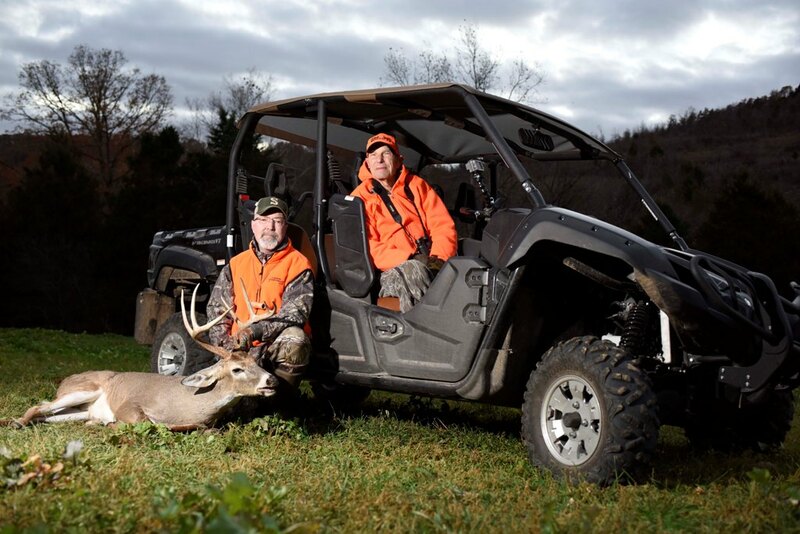 No matter what age structure you set for your buck harvest goals, finding antlers provides information that can help you locate and hunt deer next season. As bucks age, they can be more reclusive and difficult to pattern and hunt. Finding the shed of a mature buck is great information. It means that buck has survived another hunting season and could show up in front of your stand next fall! 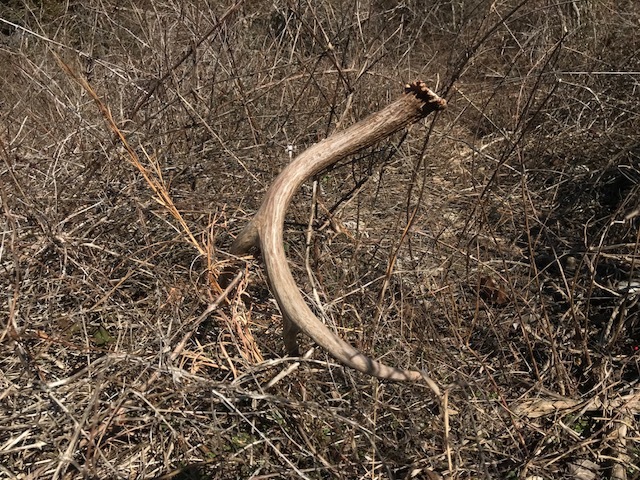 Finding a shed antler tells you where that buck travels during the late season. It is simply one more piece of the puzzle for hunting that specific buck. Hunters can gain even more data about the buck by looking at the base of the shed. Clean bases are good. It means that the buck is likely healthy and had a clean casting. However, sheds with jagged pieces on the base may indicate that the buck has a brain abscess or other injury (this is not always the case). Shed hunting also gives hunters the chance to get boots on the ground and read fresh deer sign. 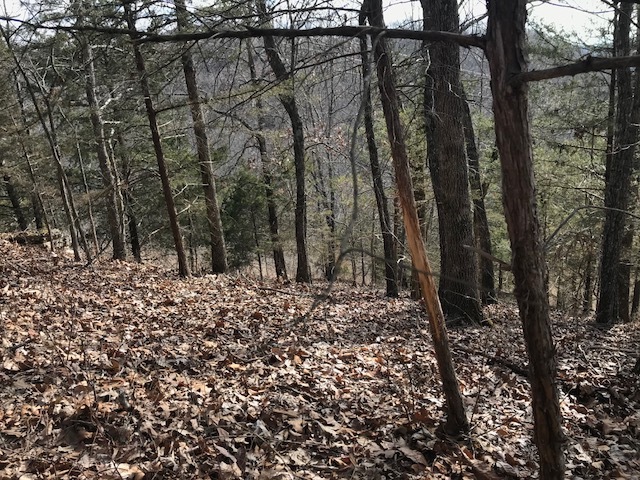 Oftentimes, shed hunting can take you down unexplored trails and into thick cover. 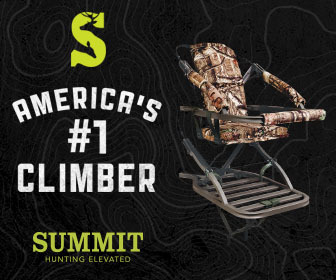 Shed hunters can quickly learn where late season bedding areas and food sources are located. Travel corridors in between these areas are often great hunting locations if the hunter can enter, hunt, and exit without alerting deer. We all love shed hunting for different reasons, the bonus is shed hunting helps us to become better hunters. I hope you can throw on your boots, grab your family and friends and begin shed hunting soon. I think you will be surprised at how much you can learn while searching for antlers! Bucks started shedding their antlers early this year here at The Proving Grounds. 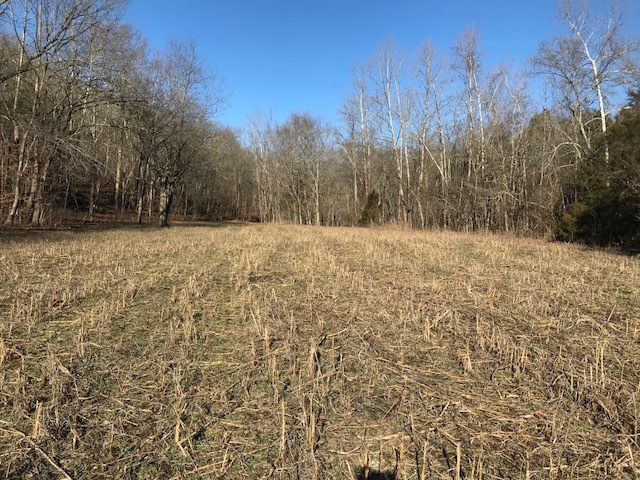 We watched bucks that were using the food plots near our house with the iScope and saw that about half the bucks coming into the field had shed. The Reconyx trail cameras showed that there were a lot of bucks that had already shed on a pattern at a food plot we call “North Field.” Given this great information, I was excited to take Crystal (my Labrador Retriever that has been trained to find antlers) over to hunt this area for shed antlers. We had a great Saturday morning shed hunting. We’ve been out every day this week searching new areas. While we were out I captured the following images to show how we shed hunt. Following a rub line is a great strategy for finding shed antlers. It’s assurance that you are searching in an area that the bucks have been using. Take a good look at this photo series. If you look closely you will see multiple rubs in several of the photos. 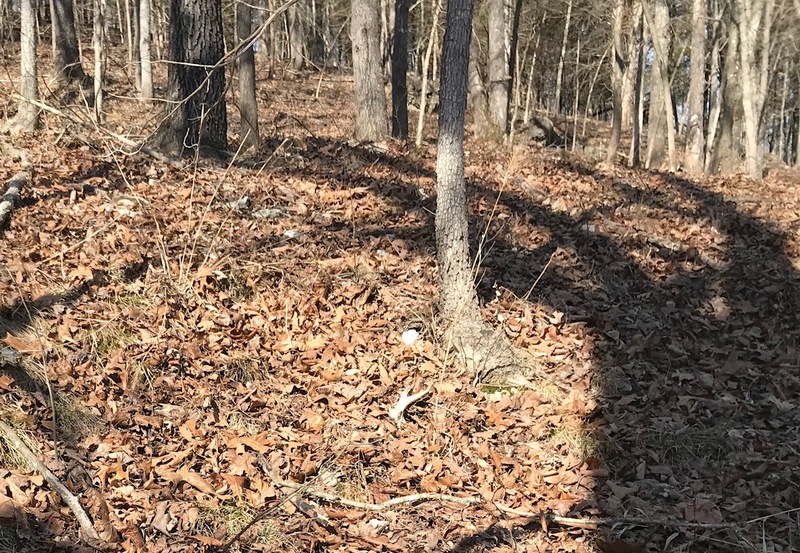 Finding rubs and scrapes are one of the keys to staying motivated while shed hunting. There is always a fresh burst of energy to walk and hunt just a little bit longer when there is such obvious sign that the bucks were/are actively using an area. Following this rub line payed off for us. It eventually led to where the deer had bedded down on a south facing slope. We had just come out of very cold spell, with abnormally low temps and snow. The deer found refuge and warmth on this south facing slope, in the timber, out of the wind and with sun on those clear days. 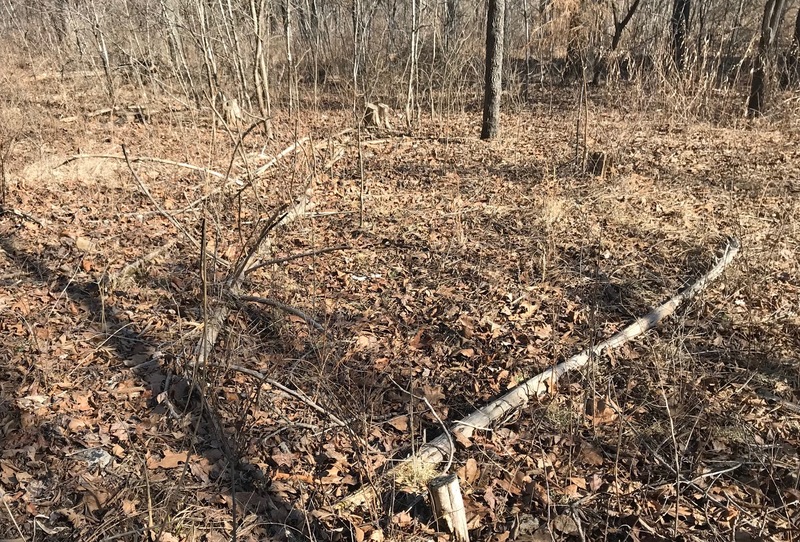 When I come across sign that deer have been bedded down in an area, I always slow down and spend a little extra time thoroughly checking each bed for antlers. 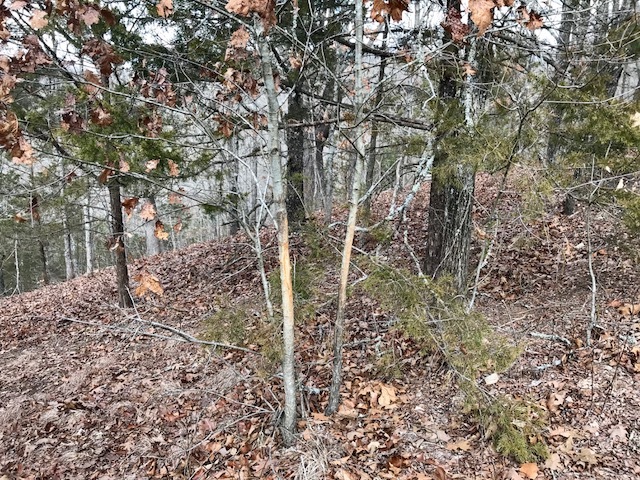 Even if you don’t find a rub line, look for deer trails. Stay focused and stay on the trail. It’s better to stay on the trail with obvious deer sign than wander aimlessly in the woods “hoping” to come across better sign. I had success walking through a thicket of briers and honeysuckle this week. The deer trails were obvious so it made sense to check it out. When you’re walking an area, walk slowly (it’s not a race, it’s a hunt!) and frequently turn around and look behind. Get a different perspective on the ground you’ve already covered. The change in perspective might make that antler “appear” out of the leaves, grass, or brush. Why? Because the angle the antler is turned (tines down, tines up, buried and the base only showing, or just a tip of a tine) might catch the light or be more obvious. Additionally, those pesky squirrels might have found the antler and left it at the base of the tree out of your line of sight if you are only looking forward. 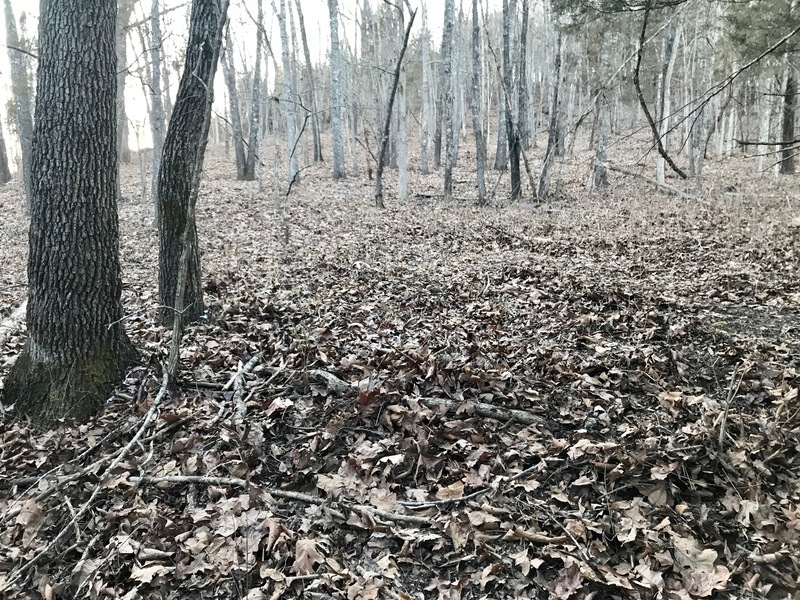 Perspective, or angle, and light are important aspects of shed hunting. Especially if you are searching in hilly country (like I am). I prefer to shed hunt walking uphill. I know that sounds crazy. Walking uphill forces you to be just a little slower. The upward slope also makes the antlers stand out more. 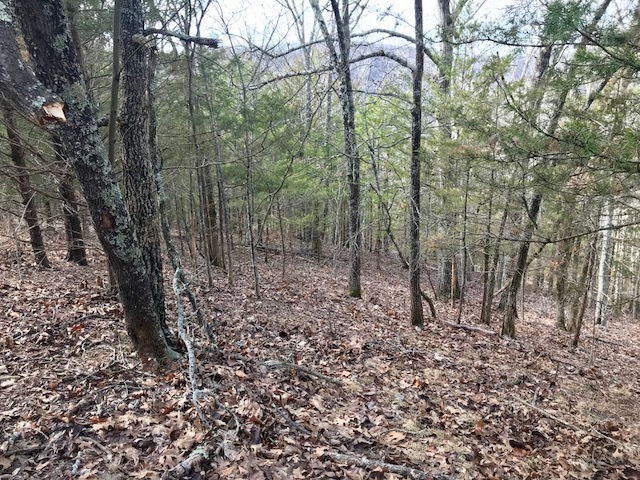 That said, it’s also important to turn and look downhill to get that different perspective on the antler that was camouflaged or buried in the brush. I prefer to shed hunt on overcast days. Bright, sunny days will either wash out the contrast or throw so many shadows that differentiating corn stalks, sticks, chewed up turnips, rocks, etc. from an antler almost impossible. The above photo shows how the light can make shed hunting harder. We were walking towards the sun. At times like this, improve the odds of finding an antler by turning around and walk with the sun at your back. 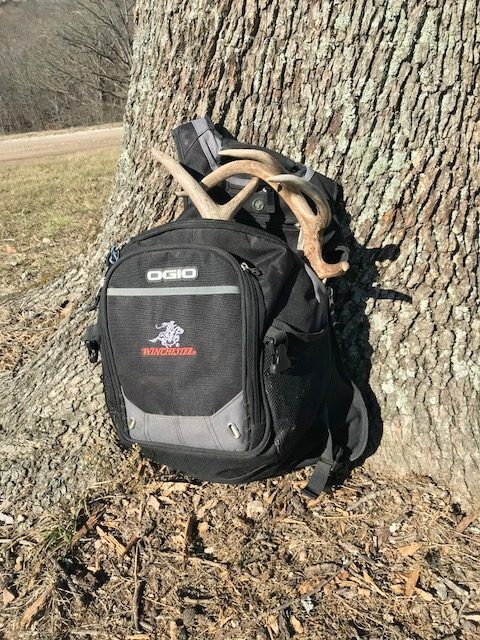 When I shed hunt I carry a backpack. Usually there are two or three bottles of water, snacks, dog treats, and lots of empty space. The empty space is there to put my jacket as the day warms up and, most importantly – for all the antlers we find! We’ll be shed hunting as much as possible over the next few weeks. I’ll share more about what we’re doing and where we’re finding sheds again soon! Do the bucks in your area have still have their antlers? We’ve got a few bucks that have already started shedding their antlers here at The Proving Grounds! Antlers are shed as a response to chemical changes within a buck’s body. These changes are generally stimulated by changes in the amount of time the sun shines daily. 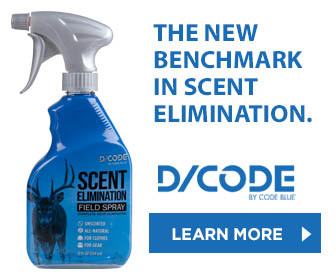 However, within this window, several factors such as available nutrition, general health, and dominance ranking can determine when an individual buck sheds his antlers. For example, deer researchers often mention observing two dominate bucks in captivity fighting during this time of year. The loser will shed his antlers soon (sometimes the next day). It seems hard to imagine that antlers will simply fall off one day due to a change in dominance status (along with hormone levels) but these examples seem to indicate that’s the case. Never underestimate the effects of hormones on all critters! Antlers for most bucks tend to be shed during the late winter months. However, some bucks will shed earlier due to other factors. Those “other factors” explain my expectation for bucks to shed earlier than normal this year. Why? Because bucks will shed early when they are stressed. We’ve had ongoing drought conditions so our food plots and the native deer browse have suffered. To a deer manager, forage plants are simply nutrient transfer agents. 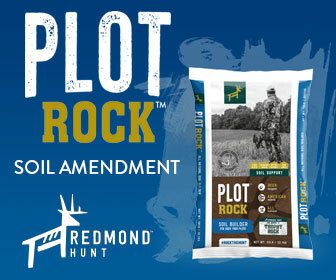 They simply transfer nutrients from the soil and air to the consumer (deer). No matter how many nutrients are available, plants can’t transfer nutrients without water. Soil moisture was so limited this year that the plants simply couldn’t transfer many nutrients. The drought directly and indirectly caused a huge amount of stress to bucks in my area this year. 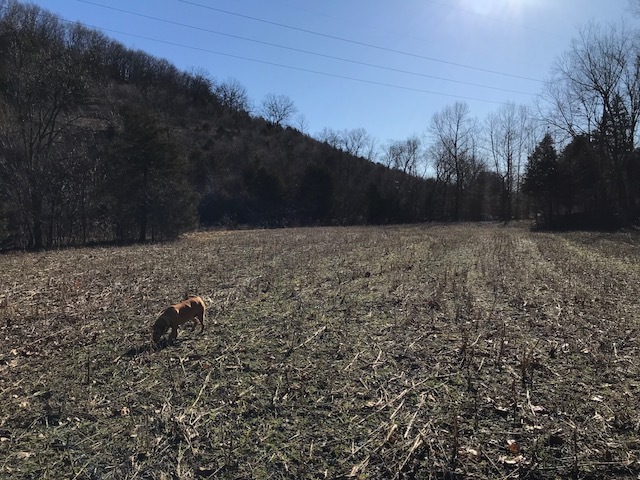 Tracy took Crystal, our Labrador shed hunting dog, to one of our larger food plots this week to see if they could find any of those early sheds. In less than 2 hours they found four fresh shed antlers from some of our younger bucks. In addition, we’ve seen at least two mature bucks that have already lost their antlers. It seems my buck hunting may be over soon even though the legal season where I live extends to January 15th. As you’re finding shed antlers this year, please share them with us on our Facebook page! At GrowingDeer we enjoy hunting. We also enjoy eating fresh venison! Over the years, we’ve shared many of our recipes. In order to make finding these recipes easier for visitors to the GrowingDeer website, we now have them assembled in one “spot”. In the main menu at the top of the website, you will see the recipes tab. The next time you are looking for an idea for venison, wild turkey, or wild pig – look through the recipes on that page! 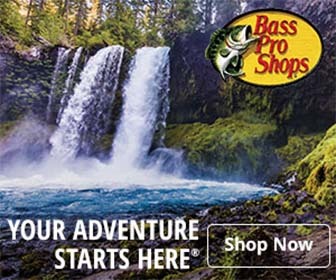 We have a search feature on our website if you are looking for something specific. Also, Google does a great job showing search results for our website. For instance, a google search for the terms “growingdeer.tv recipes venison” yields these results. Suggestions for side dishes: Salad, refried beans or Mexican rice. 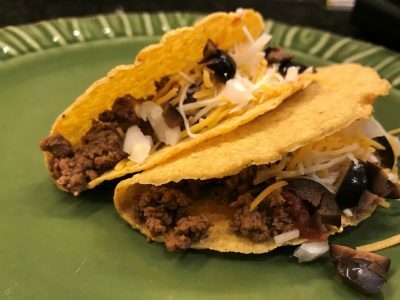 For another interesting variation on traditional burritos using venison, see this recipe for Italian-style venison burritos.